High Quality Content by WIKIPEDIA articles! 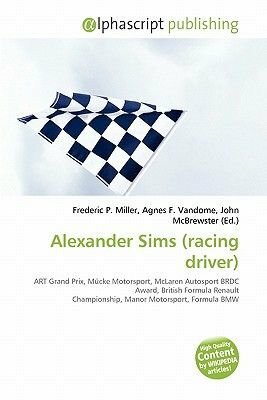 Alexander Sims (born March 15, 1988 in London) is a British racing driver. He currently resides in Wansford. Sims currently racing in the Formula Three Euroseries with ART Grand Prix. He was the winner of the 2008 McLaren Autosport BRDC Award for promising young British drivers. He wears an Ayrton Senna inspired helmet in yellow with a blue and a green stripe.